It may not always seem like it, but your cat or kitten adores you. She wants nothing more than for you to come home at the end of the day and snuggle up with her, play with her, or wave at her while she lies cozily in your linen cupboard. Yes, our sweet feline friends rely on us, which means we have a big responsibility to look after them properly. Here are our tips for making your cat proud and being the very best owner you can be. For those who have adopted a brand new kitty into their lives – or even have an existing pal – a food bowl, water bowl and collar with an ID tag are vital for obvious reasons. 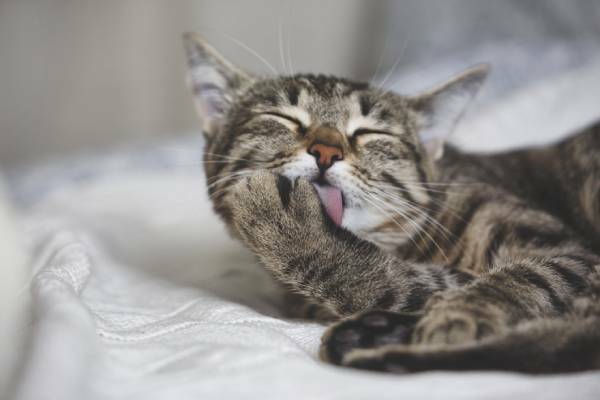 Feed your cat a diet rich in proteins and nutrients – your veterinarian will recommend an appropriate dry and/or wet food diet – and always ensure there’s enough fresh water available for her to drink. If feasible, make sure her water bowl is located far away from her litter. Vaccinations will keep her healthy and free from potentially life-threatening disease, and microchipping will bring her back to you if she ever gets lost. Luckily, if you’re adopting from RSPCA NSW, microchipping and vaccination costs are included in the adoption fee. 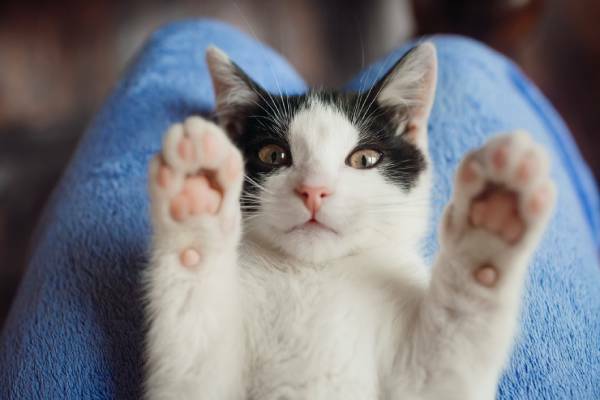 If not properly protected, cats are prone to catching fleas and worms. These sneaky little parasites wreak havoc on your loved one’s stomach and skin, among other yucky irritations. Worse, once they’ve burrowed their way onto your pet and into your home, fleas are incredibly hard to get rid of. Speak to your veterinarian about setting up a schedule for your cat’s worming and flea treatments. 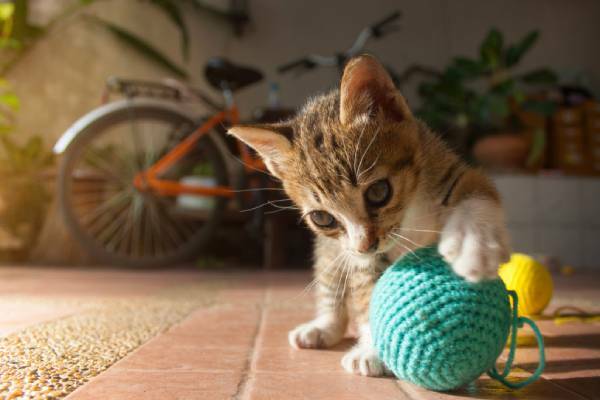 Cats love to get their playful paws on everything, so hazard-proofing your house is a must for any pet owner. Keep an eye out for potential problems like human medications, toxic indoor plants, insecticides and baits, rubber bands and plastic bags. Best to clear any of these away before your curious cat starts wandering around. Your cat is a smart cookie. She wants to play with toys and solve problems and use her natural instincts to hunt for food. She’d hate to just sit around feeling bored all day. Buy her a good, tall scratching post she can sit on top of. Cats love to sit high and observe what’s happening in the room below them, or out the window. Regularly change up your cat’s toys so she doesn’t get bored. You could also consider an ‘automatic’ toy that will move electronically and engage your cat. Hide treats around the house so they can ‘hunt’. Make sure she has access to nooks and crannies, or a little hutch or cave, to snuggle up in. Check out the RSPCA NSW online retail store here. RSPCA NSW encourages owners to keep their cat inside, instead of roaming around the neighbourhood. This prevents her from getting lost, hunting wildlife and/or catching potential diseases. But don’t worry: your cat can live a perfectly happy life indoors, especially if you provide her with enough enrichment and stimulation. Book your kitty into the veterinarian for a check-up once every six months to a year. A professional will be able to diagnose any existing or potential problems and give you some good advice on how to make your pet the happiest she can be. While cats are nifty little creatures who can groom themselves, they still need a helping hand from their owner every now and then. 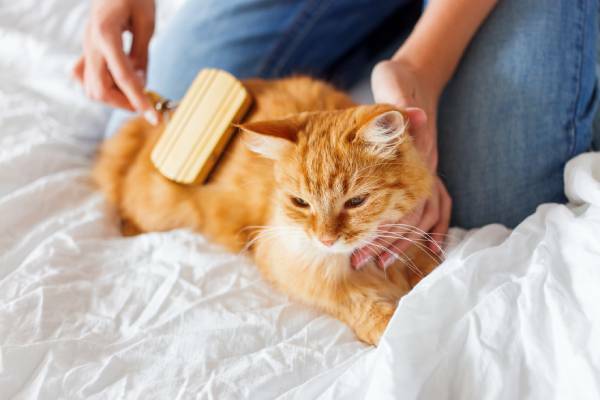 Brushing your cat regularly will not only prevent her from matted fur (especially for longer hair breeds) but will also keep you abreast of potential skin issues or fleas. The occasional bath helps with this too. At the end of the day, after you’ve provided her with food, water, shelter and a place to rest her furry head, your cat will benefit immensely off just being loved by you. Be around as much as possible and treat her with the utmost respect – that’s the secret to being a good cat owner. From 12-14 April, adult cats will be adopted out for a reduced fee of $49. Find your new furever friend here.